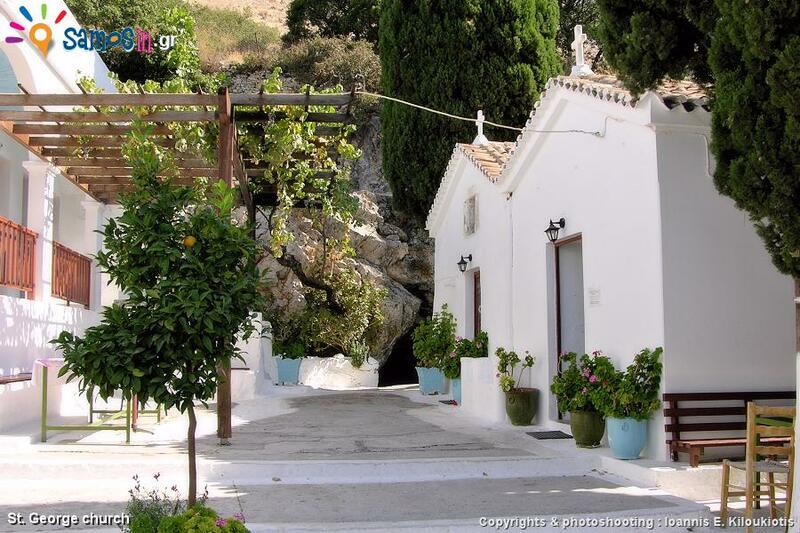 Into the well-preserved metochi (which belongs to the monastery of Hozoviotissa in Amorgos) is a small but picturesque courtyard, with the cells around it and in the background the church of St. George. 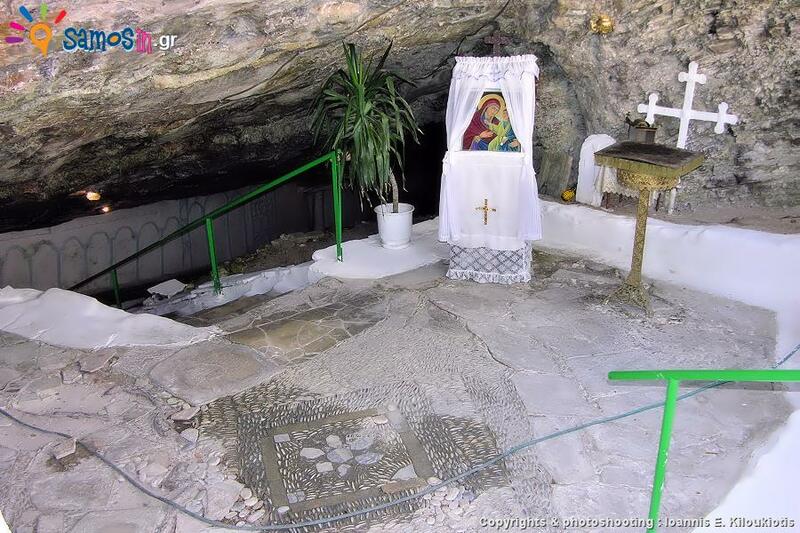 But the heart of metochi is at the depth of the large cave which exists there, with the small chapel in honor of the Virgin Mary Spiliani (= inside cave), the holy water, the built-in on rock ancient marble icon of the Virgin Mary and the history with the legends that accompany it. We’re uncertain when it comes to the erection year of Panagia Spiliani (or kaliarmenitissa) metochi , probably the chapel inside the cave (dedicated to the Presentation of the Virgin) was founded during the 16th century while outside the cave, the cells and St. George church, during the 18th century. 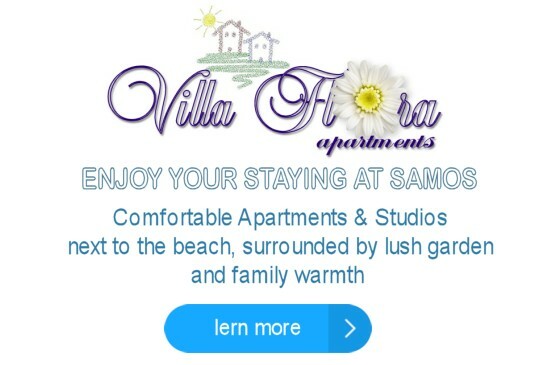 The history of the cave begins during ancient times, as there are indications that the cave used to live the Samian Sibyl “Phyto” (Sibyl was supposedly a women in trance who prophesied the future). In the Byzantine years the same cave probably was used as a sacred place of Christianity and as a place of asceticism. 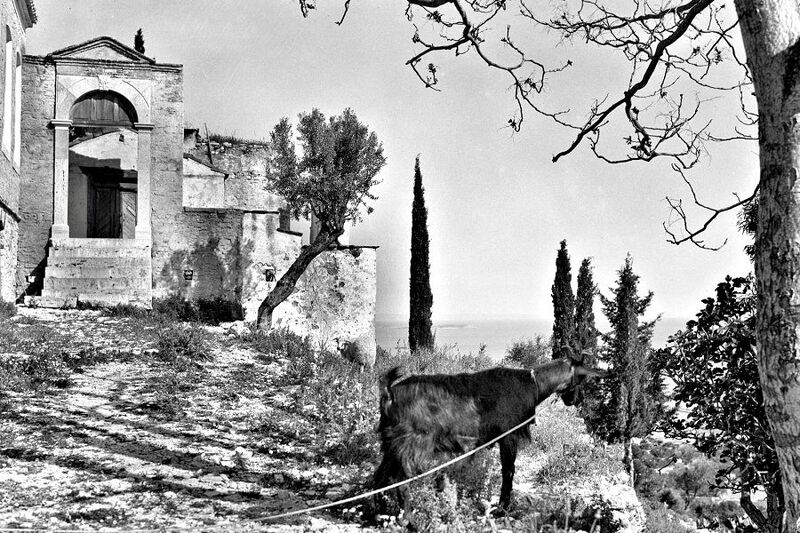 In recent years (during the 16th century), according to tradition, it was mentioned that sailors from the sea and inhabitants from the surrounding villages, saw every night an impressive light from Spiliani area (probably a christian hermit lived in). They searched the area and found the cave, inside of which they found a small chapel with an ancient icon of the Virgin Mary. Since then the modern history of “Spiliani”began. 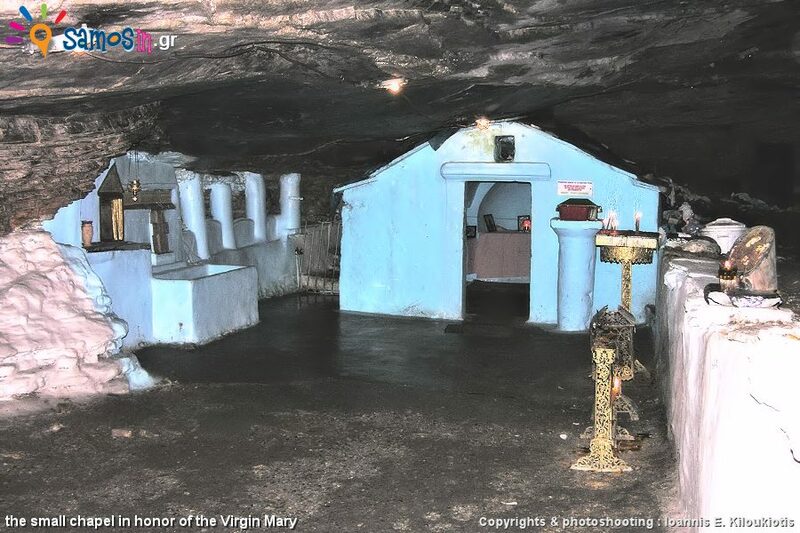 Inside the cave is a small chapel and built-in on the rock is an ancient icon of the Virgin Mary, cracked and colourless because of moisture. The dating of the icon goes back for centuries. 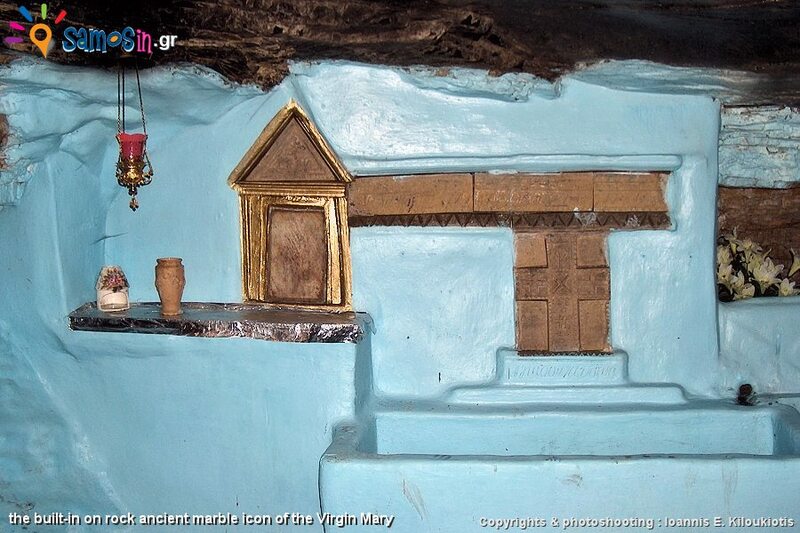 As for the cracking, popular tradition has preserved the following story: Many years ago, some foreigners/pirates stole the icon of Virgin Mary. Then, while sailing with in their boat and when they’re located just outside the village of Ireon, the boat turned into stone. The icon fell into the sea, cracked and floated back to land. People found it on the beach and put it back in it’s place. Since then people call the icon “Mary Kaliarmenissa” (=good sailing) since she sailed back to her home. Regarding the petrified boat, legend has it that it’s the rock south of Ireon. Access is free to the public. Entrance to the monastery is allowed with decorous/decent clothing. In Eastern Orthodoxy, a metochion or metochi (Greek: μετόχιον or μετόχι, Russian: подворье, podvorie) is an ecclesiastical embassy church, usually from one autocephalous or autonomous church to another. The term is also used to refer to a parish representation (or dependency) of a monastery or a patriarch. There are some places that I love just for the sense of peace they bring to me, and this monastery was one of those. 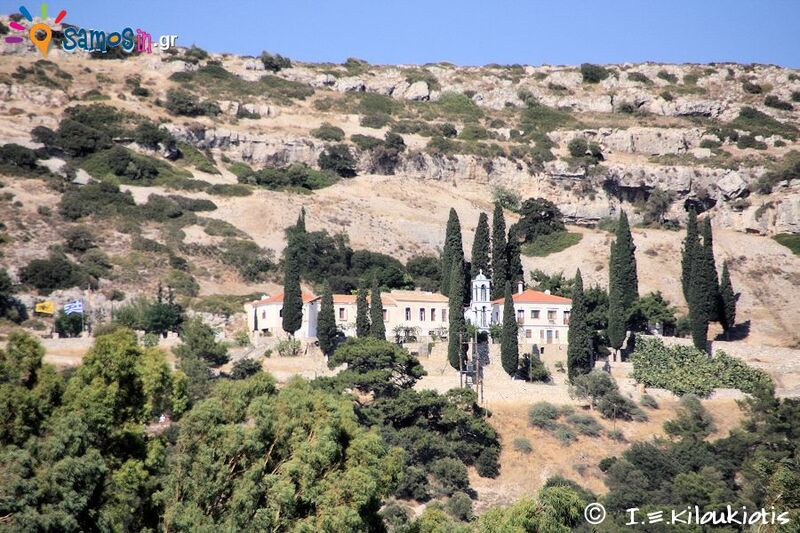 Situated atop a hill in Pythagorion, this is an easy two km walk from the main street of town. Views are gorgeous. There is a little shop which sells cold drinks and souvenirs. My partner went into the cave to check out the chapel in there, but I stayed above ground, just to sit still and feel the peace. Lovely.